When I signed on to Twitter today, it was flooded with photos of celebrities in designer gowns at the Met Gala. It’s like Oscar night, except that it’s a Fundraiser and not an award show. The Met Gala is the Metropolitan Museum of Art Costume Institute Benefit, which is a black-tie affair held the first Monday in May to raise money for the Costume Institute. The Met has a themed exhibit as a part of the gala every year and this year, the exhibit is themed Manus x Machina: Fashion in an Age of Technology. The Gala is hosted by Anna Winter, the editor of American Vogue and the artistic director of Condé Nast, who took over as chairwoman of the gala in 1999. So when did this most glamours of all fundraisers in the USA begin? The publicist Eleanor Lambert started the gala in 1948 as a philanthropic endeavor. But it has morphed into its current form only since Ms. Wintour took over who is credited with turning the Met Gala into the ultimate global celebrity party. So how much are the tickets? Tickets are $30,000 each! And the tables cost $275,000! And why do you see all these celebrities on the arms of designers? Brands invite celebrities to be their guests and sit at their table and celebrities need to wear their dresses, they basically become walking billboards for the fashion houses. Last year 600 people are said to have attended the event. Qualifications for inclusion have to do with buzz and achievement (and beauty) more than money. It is an invitation-only party and there’s supposed to be a waiting list to get on it. So how can you qualify to make it to the Met Gala – do something great in terms of achievement, become rich and turn drop dead gorgeous. The Girl Scouts made an appearance at the 2016 Oscars. They are supposed to have sold $65000+ worth of cookies, way to go girls! And what a great promotional opportunity. According to one website, proceeds will go to buy school supplies for foster children and for art classes and other activities for the scouts. Girl Scouts was started by Juliette Gordon “Daisy” Low, who believed in empowering every girl. She organized the first Girl Scout troop on March 12, 1912, in Savannah, Georgia, ever since then Girls Scouts has helped girls discover their strengths, passions and talents. The Girl Scout mission is to help in the development girls with courage, confidence, and character who make the world a better place. 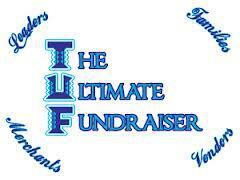 They are a leadership development organization for girls. Girl Scouts offers every girl a chance to do something amazing. To donate to the Girl Scouts, please click here. 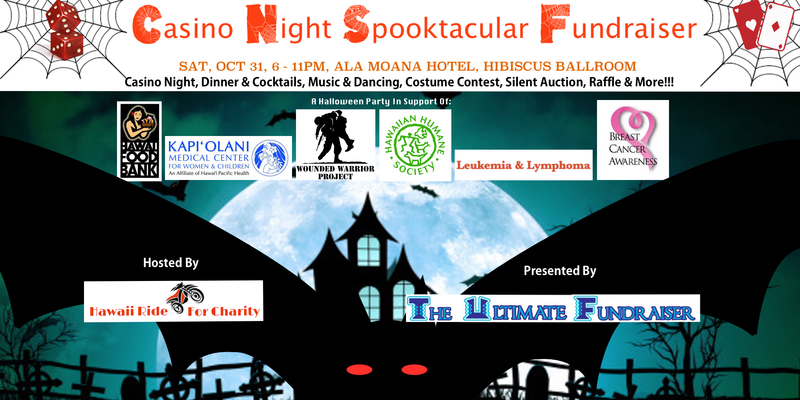 The Casino Night Spooktacular is a fundraising event in support of select Hawaii charities hosted by Hawaiʻi Ride For Charity and presented by The Ultimate Fundraiser. Event Details: The main event is the Halloween-Themed Casino Night (with blackjack tables, roulette tables and crap tables). 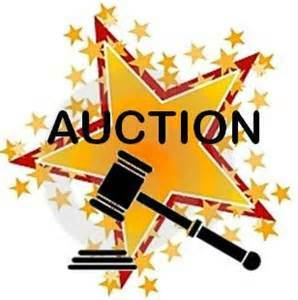 Additionally, there will be a halloween costume contest, raffles, door prizes, silent auction items, music and dancing. And of course, what’s a party without scrumptious food and yummy cocktails! The Ala Moana Hotel event will be followed by an after-party at Champs Sports Grill. You’re also welcome to book rooms to stay at The Ala Moana Hotel for the night. Food Service & Casino Night Schedule: The event will be held from 6-11pm with food being served from 7-10pm and the casino will be on from 7-10pm too.